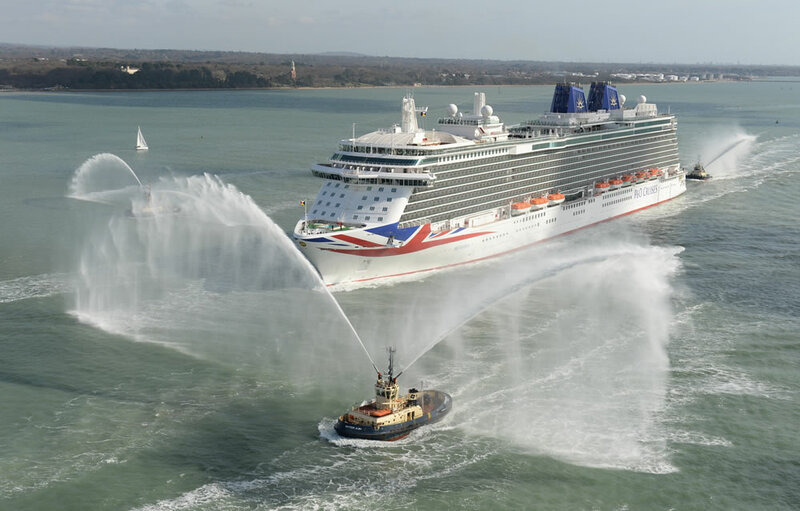 The flagship of P&O Cruises, Britannia, returns to Southampton, UK this Friday (March 25), over a year after she was named at the port by HM The Queen. Britannia was launched on March 10, 2015 and christened by Queen Elizabeth II before departing on her maiden voyage March 14 after a week of inaugural celebrations. PO Britannia was based in Barbados offering Caribbean cruises throughout winter 2015-2016. Following her return to the UK, the vessel will be sailing on a series of short-break trips to Northern Europe, adding longer cruises to the Mediterranean throughout summer. A return to Caribbean is planned when Saint Lucia becomes the ship's homeport for its 2016-2017 winter deployment. While P and O Cruises has already linked up with celebrity chefs for Cookery Club school, Britannia will also act as backdrop to the first at sea celebrity-led TV cooking contest, Battlechefs, from April 4. On April 2 the ship will be the setting for another first as she will host live Ant & Dec's Saturday Night Takeaway from the top deck. "Britannia is a ship for the nation, is the embodiment of contemporary design and is a ship of milestones including the Cookery Club, Star Burst sculpture, Battlechefs, Ant and Dec's Saturday Night Takeaway live show and much more! I’m excited to see what her next year of service will bring." The biggest ship in P&O fleet, and the largest built for the UK cruise market, Britannia accommodates 3,647 passengers and weighs 141,000 tons. Sailing more than 90,000 nautical miles during 43 voyages, the ship has hosted over 116,900 passengers, called in 31 countries and 61 different ports. During her first 12 months, Britannia has hosted 730 theatre performances, 110 black tie nights and served 94,457 meals across 3 of her fine dining establishments. More than 1.3 million chocolates have been left at turndown on pillows, and passengers have consumed 375,000 gin and tonics, 292,000 scones and 2.8 mill cups of tea.